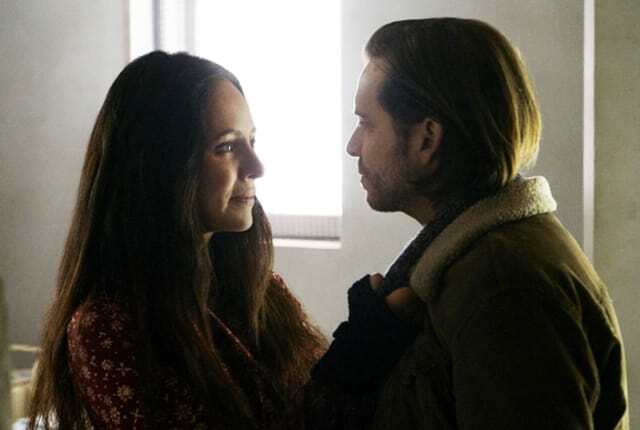 Watch 12 Monkeys Season 2 Episode 13 online via TV Fanatic with over 1 options to watch the 12 Monkeys S2E13 full episode. Affiliates with free and paid streaming include Amazon. A mysterious woman with apocalyptic visions disrupts Cole and Cassie's peaceful lives in the past on 12 Monkeys Season 2 Episode 13. Will Cole continue his mission and do the unthinkable to save the world? It took months, but I watched time repair itself. The red forest is gone for now. A memory of tomorrow. This is exactly where we're supposed to be. Home. Permalink: This is exactly where we're supposed to be. Home.